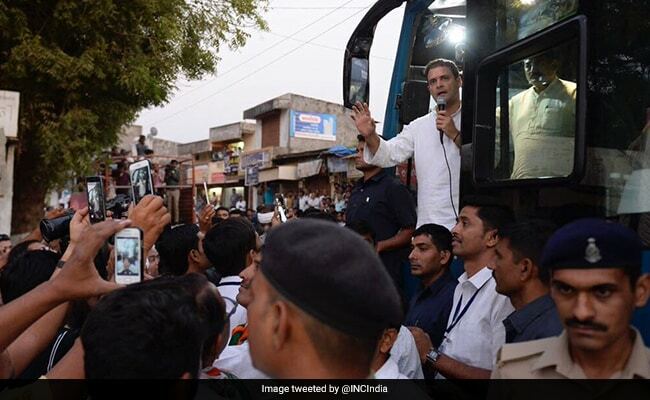 Assembly Election 2017: Rahul Gandhi's aides are clear that in Gujarat, which votes in December, his message is drilled down to one point: that the economy has crashed without any airbags for the traders in Prime Minister Narendra Modi's home state. 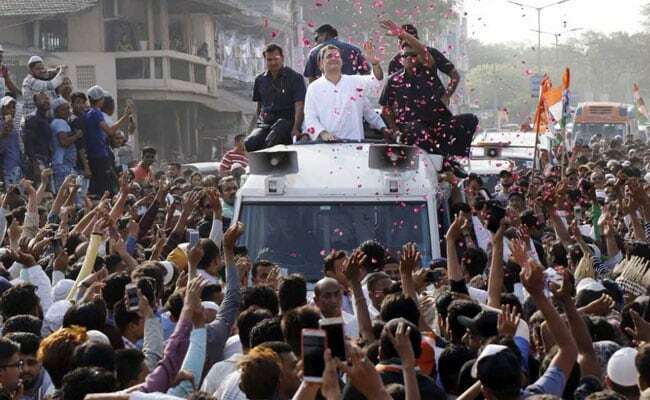 After arriving in the small town of Mandvi in Surat in his campaign bus, Rahul Gandhi visited a temple nearby. "Kya mujhe mandir jaana mana hai (am I not allowed to visit temples?)" 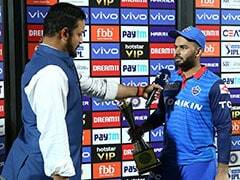 he says to reporters who allege his visit plays to Hindi voters and is intended to cancel out the BJP's allegation that the Congress minces around Hindu symbolism to appease Muslims. On his three tours so far of Gujarat, Mr Gandhi, 47, has provided a series of photo-ops at different temples across the state including the Dwarkadheesh and Chotila temples in Saurashtra. Critics allege that Mr Gandhi is indulging in "soft Hindutva" in a state seared by communal riots in 2002. "It's good that finally they have knocked at God's door-step," said BJP leader Jaynarayan Vyas wryly. "But the people of the state know it's for a political purpose and not for the love of God." South Gujarat, where he is now spending three days, has a high concentration of the state's 22% Muslims. So as counterpoint to his temple stops, some of Mr Gandhi's neighbourhood meetings, where he meets voters are located near mosques. While reading between the lines may be easy, Mr Gandhi's aides are clear that in Gujarat, which votes in December, his message is drilled down to one point: that the economy has crashed without any airbags for the lakhs of traders in Prime Minister Narendra Modi's home state, governed uninterrupted by the BJP for 22 years. It was his face time with voters at one public meeting after another that allowed Mr Gandhi and his team to sharpen their point. Zingers about the new national sales tax or GST - which the Congress Vice President renamed as the villainous "Gabbar Singh Tax" - drew a huge response. The other "torpedo", Mr Gandhi tells voters, was the shock decision to cancel high-denomination notes a year ago. "These two moves destroyed the economy," he says at one public meeting after another. "This time, our campaign is not related to a particular section - it is only on economic issues or demographic issues," said Rohan Gupta, who heads the Congress social media cell in Gujarat and accompanies Mr Gandhi on his campaign. Nearly 65% of Gujarat's population is under 35 and hungry for jobs; Mr Gandhi has tried to skew his party towards the youth, managing to loosely corral three young caste leaders: Hardik Patel, Alpesh Thakore and Jignesh Mevani. They may be orbiting the Congress together (Mr Thakore joined the party recently, the others have indicated they will work against the BJP, rather than pledging they will link with the Congress) but they have competing interests. For all the investment in and industrialisation of Gujarat, its guaranteed government jobs and educational seats that the major castes are demanding, each complaining that the famed Gujarat Model of Development that fostered the state's prosperity, has left them out in the cold. So Mr Gandhi promises at his well-attended rallies that unemployed youth will get monthly allowances, similar to the dole, free cellphones and jobs in local industries. The offerings are shaped by the fact that nearly half of Gujarat's constituencies are urban. In the national election, the BJP won all five parliamentary seats in south Gujarat. The region has a total of 35 assembly seats; all but seven are held by the BJP.